Fonterra has produced a very mixed bag of announcements with its interim result - raising the forecast milk price to farmers by 15c, but lowering the forecast dividend for the year by potentially as much as 15c also. Contrary to some expectations, Fonterra has fully taken on the chin the fall in market value of its 18.8% stake in Beingmate Baby & Child Food Co , acquired in 2015 for NZ$756 million. Beingmate made a loss this year of about NZ$208 million. 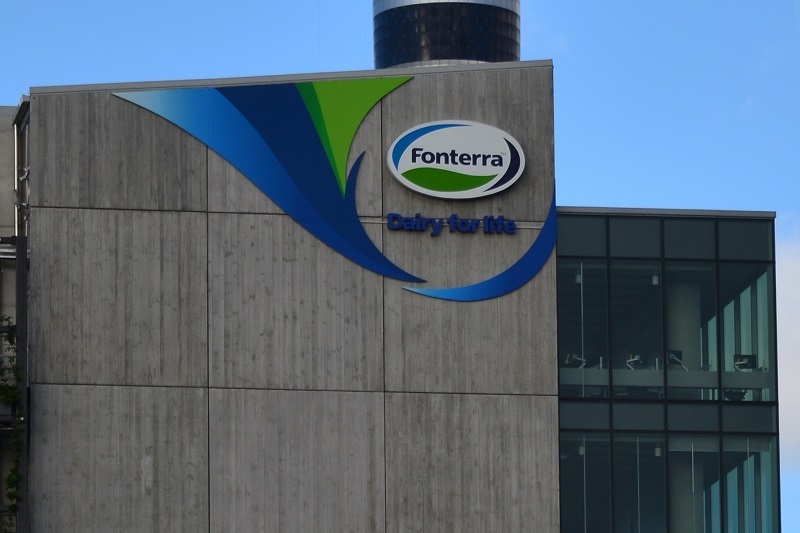 Fonterra's written its holding down by $405 million, to a value of $244 million, which reflects recent on-market prices. The co-operative's declared an interim dividend of 10c a share and forecast a full dividend for the year of between 25c and 35c. Last year the dividend was 40c. With the dividend and the forecast milk price of now $6.55 per kilogram of milk solids, this will mean a cash payout for farmers this year of between $6.80 and $6.90 - which Fonterra says would be the third highest in the past decade. "However, we are very aware of the challenges many of our farmers are facing this season with difficult weather conditions impacting production. While the global supply and demand picture remains positive and we expect prices to stay around current levels, we will be watching for any impact on market sentiment as spring production volumes build in Europe.". During the half year Fonterra was also hit by the $183 million damages payment to Danone. This and the Beingmate write-down have led to a reported half-year loss of $348 million. On a 'normalised' basis, taking out one-offs, Fonterra says the net profit after tax comes to $248 million. The Fonterra published half-year report is available here . On the Beingmate write-down, Wilson said while Fonterra appreciated the "substantial opportunity and privilege" of its business in China, "our shareholders and unitholders will be rightfully disappointed with this outcome". "Beingmate’s continued under-performance is unacceptable. The turnaround of the investment is a key priority for our senior management team," he said. "The opportunity in the Chinese infant formula market remains, as does the potential for our Beingmate partnership – but an immediate business transformation is needed for Beingmate to benefit from the ongoing changes in the market." Wilson said the board would decide how the Beingmate impairment and the Danone payment would be treated for final dividend purposes after the end of the financial year when it would have the full picture of Fonterra’s operating performance. "Given the possible impact of these decisions, the Board is providing a forecast dividend range for the full-year of 25 – 35 cents per share, rather than just the earnings per share guidance normally given. "Based on our dividend policy, this forecast dividend range would allow for the Board to add back the Beingmate impairment at the lower end through to an adjustment for both Beingmate and Danone as one-off events at the higher end. "In the circumstances, we have taken a prudent approach in determining the 10-cent interim dividend."